Music and dance have always been essential to the spiritual, cultural, and social lives of Native people, and unique forms of ritual, ceremonial, and social dancing remain a vital part of contemporary community life. Featuring 10 social and ceremonial dances from throughout the Americas, this exhibition illuminates the significance of each dance and highlights the unique characteristics of its movements and music. 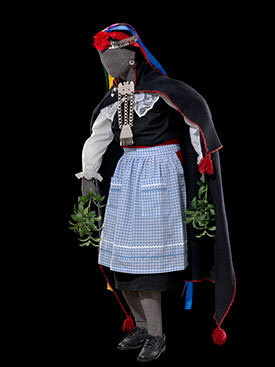 Each dance is represented by a single mannequin, dressed in appropriate regalia and posed in a distinctive dance position, and a video component capturing the movements and music integral to each performance.